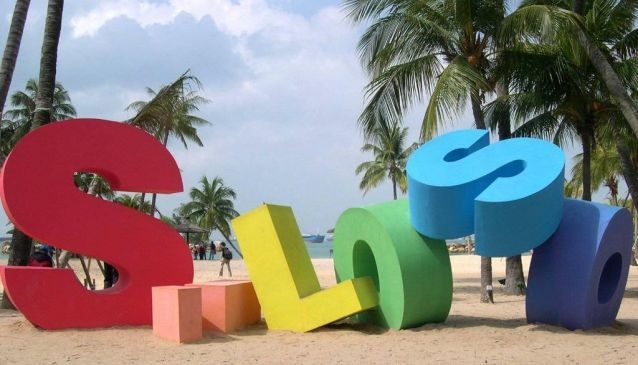 Siloso Beach is the first beach you will find on Sentosa Island when you'll alight at Beach station. With its cluster of lively beach bars, sports and leisure activities, Siloso Beach is certainly the focal point of the island along with RWS. Get a cooling dip in the water or just lay out in the sun for hours, you'll find here the island gateway you need to relax with your pals. Hosting most of the eateries and watering holes, it's easy to spend the whole day lazing until late. For more action, get sandy and sweaty with a wild game of beach volleyball. Courts are available for free on a first-come-first-served basis. Else surf a man-made wave, ride a zipline or a Banana boat and much more. After dark, the party beach comes alive especially in December with the famous Zoukout and Siloso Beach Party on New Year's eve.